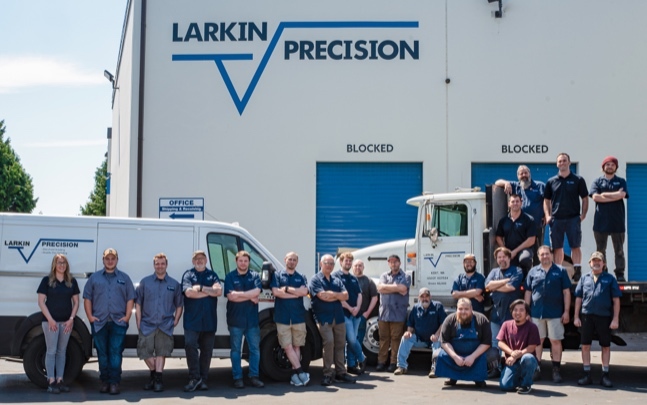 Larkin Precision has a long history of grinding in the Northwest. We started in Redmond, Washington as a sister company of Petersen Precision based in California. Greg Larkin started the Northwest division of Petersen Precision in 1988 and in 2002 had an opportunity to purchase the company. Since then we have been Larkin Precision LLC and have had a focus on Blanchard and Double Disc grinding. We are fortunate enough to have an extremely skilled crew with very low turnover. We value our employees and as a result they stay with us for many years.